Sunday’s regional and local elections in Spain where more than 36 million citizens are called to vote is held. 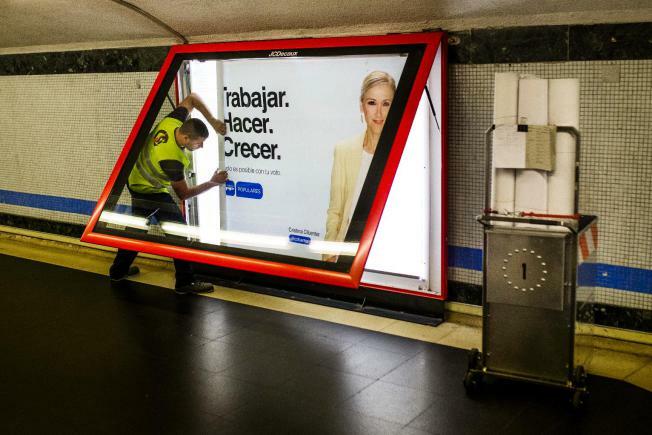 The vote takes place in a context of consecutive protests against economic and cuts the deteriorations in the quality of life that have resulted from government decisions Mariano Rajoy. 1. These elections are considered historic because the expected results may end the hegemony of bipartisanship with the entry of new parties in the front ranks of municipalities and autonomous regions. 2. More than 36 million voters are called to elect 67 000 640 802 regional councilors and deputies. The Basque Country, Catalonia, Galicia and Andalusia not participate in these elections to have their own elections.3. A total of 13 regions will renew their regional parliaments: Aragon, Asturias, Balearic Islands, Canary Islands, Cantabria, Castile and Leon, Castile-La Mancha, Valencia, Extremadura, Madrid, Murcia, Navarra and La Rioja. Democracy assistance has little chance of being effective without the carrot and stick of conditionality? Definition carrot and stick: Strategy often used in negotiations where one side offers the other something it wants while threatening negative sanctions if the other side does not comply with its requests. Ever since the fall of the Berlin Wall, there has been confusion for disagreement over the primary purpose(s) of political strategies of external support for democratization and their theoretical justification. Carothers’ idea of a ‘‘democracy template’’ (1999:88) comprising electoral process, state institutions, and civil society, reflecting an idealized view of U.S. liberal democracy arranges the typical components of conventional democracy support. First, there are goals for each of these three ‘‘sectors,’’ such as free and fair elections, and then individual forms of assistance, for example; international election observation. The simplest strategy for support refers to choices among these three sectors and their components. Democratization assistance is an established and growing industry. Yet, in a survey of 40 democracies; efforts to protect and promote democracy abroad, only three countries (Canada, the Netherlands, and Sweden) were rated ‘‘very good’’. Thus, it seems there is scope to do better. In contrast, two problematic aspects of democratization after intervention are the regional environment of the new democracies and the economic structure of the country. Several empirical studies indicate that the prospects for democracy are worse for countries that are located in non-democratic neighbourhoods  and that stable democracy is less likely in poor or oil-dependent countries. Conditionality can be defined as an agreement between two actors, in which actor 1 offers a reward to actor 2. This reward is granted if actor 2 fulfils certain conditions. In case the conditions are not met by actor 2 the reward is simply withheld (positive conditionality) or punishment follows (negative conditionality). To exert conditionality as a reward-based policy between two actors, asymmetric negotiation power has to be in place. This means that actor 1 has to be able to offer attractive incentives which actor 2 wants to have and cannot achieve easily. 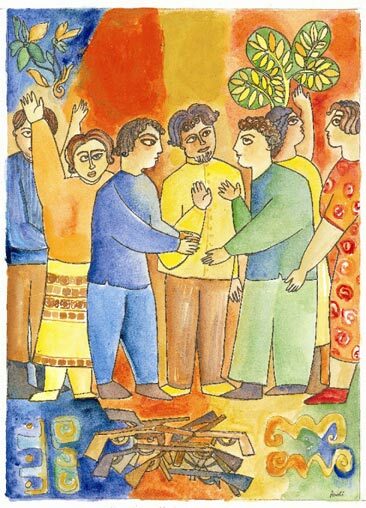 When analyzing social interaction from an incentives- and interest-based position, conditionality is first of all understood as a mode of action. Additionally, it can be used purposely as a political strategy to apply a reward-based policy between two political actors and to institutionalize asymmetric interaction. In this case, conditionality can be used to promote democracy by combining attractive rewards with certain conditions of democratic development. Would Security Council enlargement make the Council more effective? Governments in all countries or most of them affirm their undying devotion to the United Nations and all its purposes and principles; they continually express their determination to uphold its objectives and to strengthen its effectiveness. Today, the underlying presumption has been that the UN is ‘ineffective’ because it has contributed little to the solutions of major problems in recent years. On one hand it has been argued that Security Council enlargement would make the Council more effective; in the other it has been argued that it would not since most countries today agree that Security Council needs to become more transparent, accountable and equitably representative. 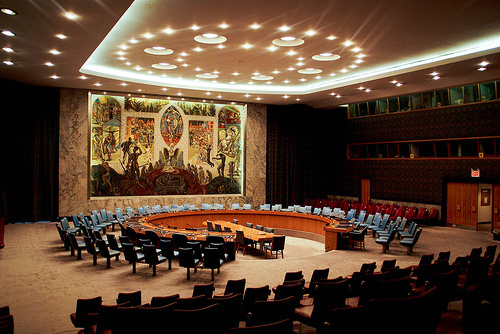 This essay will discuss: Would Security Council enlargement make the Council more effective? From the beginning of the 1960’s, with the big increase in the membership of the United Nations, there had been proposals for an increase in the size of the Council. This was designed partly to reflect more accurately the composition of the Organization’s membership, particularly to provide more seats for Africans and Asians. Moreover, the proposal was resisted for some time by the Soviet Union, probably because of her objections to any amendments to the Charter. By the 1980’s the Council was providing valuable assistance for the resolution of conflict and tension in the Gulf, Afghanistan, Angola and Namibia, just to mention a few. Historically, when the UN was formed there was a general desire to learn from the mistakes of the League of Nations ‘which mainly; it felt for four main reasons. First, it has no armed force. Second, it had lacked authority. Third, it has been paralysed during crises by the rule of unanimity. Fourth, the absence of several major powers had made it unrepresentative and impotent’.